i am beyond (BEYOND) excited to be a part of this week's Makeup Wars. 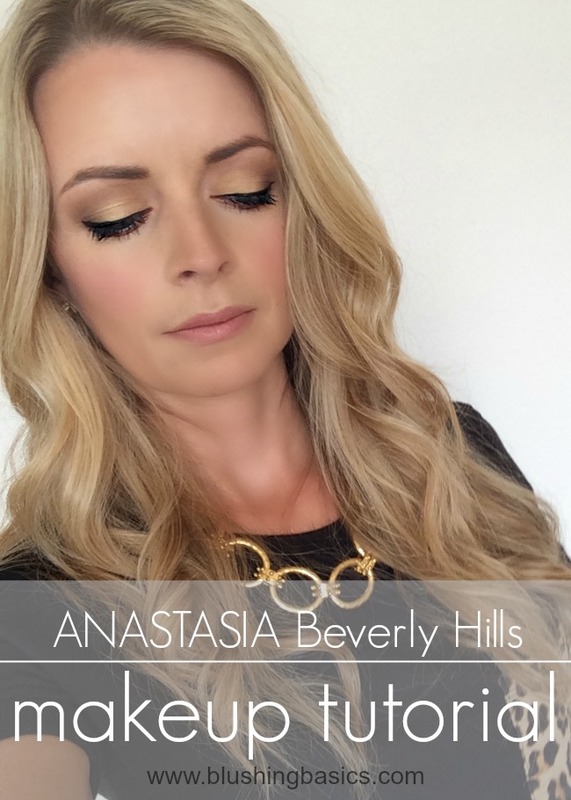 as a collaborative effort our group (members of the Makeup Wars) is introducing the new Anastasia Beverly Hills Maya Mia eyeshadow palette. as a part of this introduction we are each putting together an eye makeup tutorial showing you how to use the palette featuring the colors we loved best. pictured below is the Maya Mia palette by Anastasia Beverly Hills. first, i love the packaging. 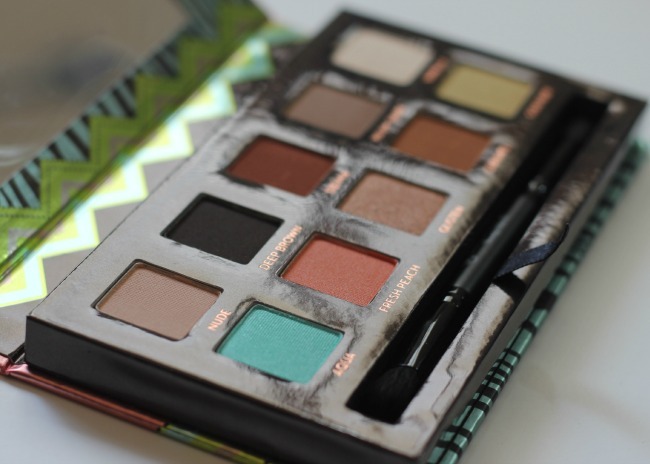 the mix of shades that are actually included in the palette make up the color scheme of the packaging. pinstripes mixed with animal print is always an amazing combination and i always appreciate when an eyeshadow palette includes a brush (all the better for traveling). the shade selection is definitely a warm toned color palette which initially had me a little concerned. i am a cool toned kind of girl but after playing with the palette a bit i realized the colors are so perfectly neutral that they work for both cool and warm tones. another bonus to this palette is the mix of matte and shimmery shades. mattes are so great for creating depth, rich color and such a smooth finish to eyeshadow. shimmers work well as eyelid finishing touches and i appreciate that the accent colors were shimmery. the palette comes with several eyeshadow tutorial cards showing you how to create different looks with the shades provided, however i was so in love Gold Bar that i decided i needed to create a look featuring that gorgeous shade. beginning with a primed lid i added Warm Taupe to the eyelid crease. using a windshield wiper motion i applied it started from the outside corner of the crease towards the inside corner and continued that back and forth motion to help diffuse and blend the color. next i applied Gold Bar over my entire eyelid starting from my lash line all the way to the crease. i lightly tapped on the color to ensure stronger placement of the pigment. following that i used a pencil brush to apply Deep Brown to the outside corner of the eye. i apply the color in a sideways V to create an eye shape that is almond. finish it with a liquid eyeliner cat eye and some mascara and your look is done.